‘Elf and safety ….. or just common sense? Home/News/Blocks of flats/‘Elf and safety ….. or just common sense? A broken or flickering light bulb on the stairs is irritating. A managing agent telling you that you cannot change it yourself because of “health and safety considerations” is exasperating. But then having to wait weeks for the replacement and then having a bill for the job added to your service charge budget would be just plain frustrating. We looked at what the Health and Safety Executive had to say on the topic and found case 383 on their Mythbuster pages. Here, a management company had advised that an odd job person was unable to change light bulbs as they could only be protected from negligence if a competent electrician carried out the job. The odd job man would, in any case, have a general legal duty to take reasonable care of himself and others who may be affected by his actions. Of course, common sense must apply – you’d not ask the odd job man to scale an atrium. According to the HSE, falls from a height contribute to 26% of all fatal accidents, with an average of 37 fatal injuries per year. Falls shatter lives. How does Health & Safety law apply to flats? It is a requirement of the Management of Health and Safety at Work Regulations 1999 for an annual Health & Safety Risk Assessment be carried out at any block of flats or apartments where there is one or more employee (including suppliers), be them paid or unpaid. If any cleaner, gardener, managing agent or repair contractor enters your grounds or building, then it is a workplace and a risk assessment must be made. Common areas include gardens, grounds, plant rooms, meter cupboards and lift motor rooms. If there are no employees working at the block there is no requirement to record the risk assessment but they should still be conducted. If there was an accident and you had no proof of a risk assessment being carried out, you could still be prosecuted and may be sued for any negligence. What form might a risk assessment take? The HSE usefully published a case study for a block of flats. You can also find more information at the Leasehold Advisory Service website. 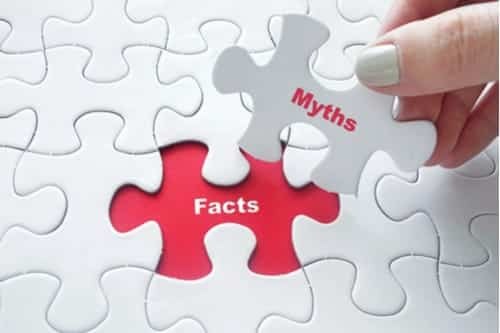 By the way, if you do follow our link to the HSS Mythbuster pages you might find them to be addictive reading – there are some real howlers there. So brew a cup of tea first – taking good care not to scald yourself of course! The sole purpose of this article is to provide guidance on the issues covered. This article is not intended to give legal advice, and, accordingly, it should not be relied upon. It should not be regarded as a comprehensive statement of the law and/or market practice in this area. We make no claims as to the completeness or accuracy of the information contained herein or the links which were active at the time of publication. You should not act upon (or should refrain from acting upon) information in this publication without first seeking specific legal and/or specialist advice. Arthur J. Gallagher Insurance Brokers Limited trading as Deacon accepts no liability for any inaccuracy, omission or mistake in this publication, nor will we be responsible for any loss which may be suffered as a result of any person relying on the information contained herein. The links in this article were active at the date of publication.